Being born and raised in the picturesque Okanagan, BC, we come by what we do naturally; our work is a reflection of this beautiful place we call home. All our pieces are hand-made with care, using locally sourced and reclaimed materials, while creating warmth, conversation and ambiance in any modern day setting. 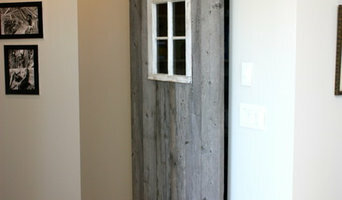 Our timeless one of a kind pieces are rustic yet refined, and bring a sense of charm and natural style to any space. "Building it right to last forever" is what this Kelowna based Eternal Timber and Design is all about. Eternal Timber offers a variety of wood furnishings and architectural elements that are all handcrafted. 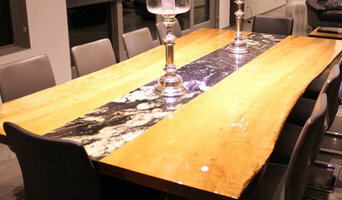 Eternal Timber makes everything from beds to corporate or dining tables to interior and exterior structures. Shawn Wiebe, the "heart and soul" of Eternal Timber and Design began his love for woodworking at a young age and has been building and framing homes since he graduated high school. Since the first makeup table he made for his mother more than 20 years ago, Shawn continues to create one-of-a-kind pieces for any project that comes his way. Stark Custom Furniture was started in West Kelowna in 2014 We like our furniture to tell a story. Starting with a steel base of unique design we then search out the wood. Depending on the customers requirements we have several different styles available ranging from extremely distressed to almost new. 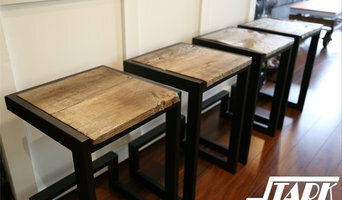 The wood used to build our furniture has all been reclaimed from various places around the world. In the shop there is wood from old church pews, fences, houses, barns, and even some massive live edge cuts. 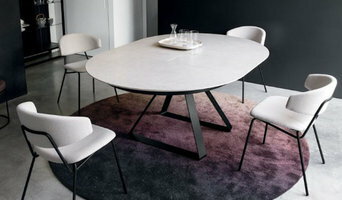 Modern Furniture is owned and operated by Justin Kandola. Coming from a family enriched in the furniture world, founders of City Furniture, it was a natural fit to carry on that path. While furniture was always in the blood, it was a trip to Europe in which the inspiration came for what the Okanagan needs. From the old world architecture and compact living spaces which provided the "less is more" outlook, it was obvious the future was in contemporary. Having grown up in Kelowna most of his life and seeing it blossom to what it is today, he knew the Okanagan deserved a little of Europe. From ultra-modern living rooms to mid-century-modern bedrooms and transitional dining, Modern Furniture has a wide variety of styles suitable for any living space. Our belief in providing the best contemporary has to offer has taken us as far as Italy and Denmark and as locally as Vancouver to truly give the Okanagan a taste of authentic modern design. We will be set up for online distribution shortly, but for now, our site is strictly a sneak peak into what we have in our showroom. Interior design studio. Furniture and home decor shop. Custom furniture and design. Each piece is handmade in Kelowna B.C. Canada, and can be shipped worldwide. If you see something here or have an idea for a project that needs some care and attention, I might be your guy. G & G Trade Corp.
G & G Trade Corp. is specialized in Hardware for Functional Furniture. We offer different Product Lines like Table Hardware (Lift Systems and Extensions), TV-Lifts (Stand-Up and Ceiling Line), a wide variety of Electric Specialty Lifts (e.g. for kitchen cabinets) and Functional Furniture (height adjustable Tables and Piano Benches). Remix Home Store offers a finely curated, dynamic, ever-changing, blend of Antique to Modern Furniture, Accessories and Art. At Remix, we believe that your home should tell your own unique story, and be filled with items and collections that you love -- every time you walk in the door of your home, you should feel both happy and at home. A home filled with furnishings and items that have stories and meanings that speak to you will enable you to achieve the balance of interest and approachable comfort. Remix specializes in "mixing" styles, eras, price-points and functions. In our Home Store, you will always find signature pieces of furniture along with one-of-a-kind pieces of furniture, objects and items of interest, and a mix of original and quality print art. Our store, much like the process of design, is ever evolving... it is like a living kinetic art installation -- there is always something amazing to be seen and discovered. Start your research right here on Houzz. Read through professionals’ profile pages to find out important details, like how long a manufacturer has been in business. Look at reviews by design professionals and find out which furniture makers offer the best customer service. Are you looking for condo-size furnishings or working with an oddly shaped room? Necessity is the mother of invention, so opt for a custom piece made by an experienced British Columbia furniture maker. Here are some related professionals and vendors to complement the work of furniture & accessories: Interior Designers & Decorators, Artists & Artisans, Kids & Nursery, Closet Designers and Professional Organizers, Bedding & Bath. Take your time on any buying decisions. If contemporary is your style, don’t buy something traditional because it’s on sale. Many British Columbia home furnishers offer interior design consultations or room planning guides to get you started. Whether you decide to work with a home decor specialist or to become your own expert, it’s important not to rush the furniture-buying process. Visit plenty of Summerland, BC showrooms and stores so you can feel comfortable with your purchase. Find furniture and accessories manufacturers, showrooms and retailers on Houzz. Narrow your search in the Professionals section of the website to Summerland, BC furniture and accessories, then choose the nearest metro area for showrooms and retailers. Or you may want to look through British Columbia photos to find designs you like and contact the furniture manufacturers and showroom galleries directly.